Lately we have been hearing a lot about the next version of Android OS codenamed Jelly Bean and there has been a lot of discussion if it’ll be version 5.0 or just a minor incremental version over Android 4.0 ICS with version 4.1. And now it seems that it would only be an incremental version arriving as Android 4.1 Jelly Bean on the Galaxy Nexus. 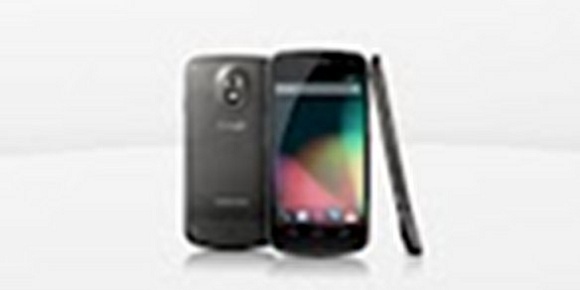 A careless listing on Play Store of the Galaxy Nexus has revealed that the next version of Android, the latest from Google, will be arriving on the Galaxy Nexus. The listing says Android 4.1 Jell… and we say its Jelly Bean. Also when users go in for a checkout of the handset, they can see a tiny thumbnail which has been zoomed in for you, as you can see above. Things to note from the image above is that the smartphone with Android 4.1 Jelly Bean will arrive with a revamped glassy Google Search Bar. Everyone is hoping Google to reveal the next iteration of the Android OS, 4.1 Jelly Bean at the upcoming Google I/O conference and with this listing, we now hope more for it.